Traditional landing page templates that noticeably develop sales rates. Influential copywriting with caption and calls to act that outcome in clicks. Planned offer advice including whitepaper and copywriting, planning and advertisement. Simple to use web design that attract and authenticate data. Direct Customer Resource Management or Marketing Automation system integration. Even a little adjust in sales rates can give you a high difference in your marketing campaign results.Therefore, it is compulsory to take your landing pages to the next level. Serve an attractive offer that is topical, relevant and aligned to your requirements. Make it simple to manage, requesting for simple amount of information in a different way. Create excitement and anticipation about the offer with head turning headlines, copy and design. Have a customer-centric on encouraging the viewer to post their detail, with a clear call to action that is not in competition with other links and interactive elements. 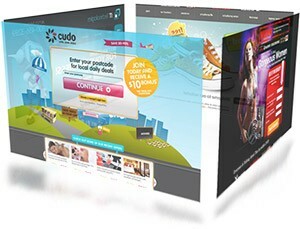 We will be delighted to get the chance to talk your next landing page development project. You can see our portfolio to get an exact idea about our work that we have done in the past. Call us today to get more information about this service. Actually, getting visitor easily to the knowledge that they are searching for online, can increase the ratio of sales and make your website popular. As a businessperson, you consider the value of traffic the main ingredient of successful business. If visitors are visiting and not buying, definitely you will go broke. Learn the technique to get leads and convert them into customers.